We paint - Commercial, Residential, Hotels, Motels, Bed and Breakfasts, Farm Buildings, Schools, Offices, you name it - we will look at it and we cover the wider Bay Of Plenty, Rotorua, Taupo, Whakatane, Tauranga and are only too happy to look at jobs outside the area. Applicators of Surtech - an innovative new ultra hard wearing wall covering system; especially suitable for Motels and Bed and Breakfasts. 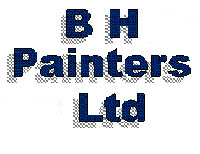 We are experienced painters and paperhangers for many types of buildings and houses. We will guarantee a professional job every time. We use quality paints only, you may choose your colour via our free link to Resene's colour chart.